Do we really need to reinvent the [wheel]? This tag has been burninated. Please do not recreate it. If you need advice on which tag to use, see the answer below. If you see this tag reappearing, it may need to be blacklisted. At time of writing this post originally, the wheel tag has 4 followers and 201 questions tagged. Wheels are round things, that rotate. Many mice have wheels, as do many compact devices where a wheel can be a helpful input device. Consider using more descriptive tags instead however to tag your questions with. For the Python packaging format, see python-wheel. I can't really see how this tag helps to categorize programming related questions (beyond the python packaging format1). "Wheels are round things, that rotate. Many mice have wheels ..."
"Consider using more descriptive tags instead however to tag your questions with." Looks like the tag invalidates its usage itself. Most of the times not, and the tag info wiki is let's say "naive". Obviously not. Almost every modern homo sapiens will discover the principle of a wheel playing around with their toys at the age of 2 or 3 or so. Physical details like minimization of friction or such are mostly covered by basic school knowledge. Obviously not. See the list of examples below. It's completely unclear what that wheel input should be. The question just provides some 3rd party links. Unclear, too broad. What's number wheel? Unclear. Hardware related not programming? How can I create a rotating group of triangles that I can click on to have an effect? Wheel view selected item with color change and having box shape border in android Unclear, no example. wheel-view seems to be something android specific. Asks for 3rd party ressource. OK, this really refers to wheels. Uhhm, but wait ... where do the mice come in play here? Again: What have the mice to do with it? Should rather refer to wheel-chart, whatever this is. A mechanical hardware input component that enables to translate angular transitions to discrete positive or negative integer step values depending on the clock- or counter clock-wise direction of the input event. A potentiometer combined with an A/D Converter is a feasible implementation. An alternative implementation example is a capacitive input component, like Apple realized with the famous iPod UI design. There are also touch screen/pad UI simulations of such hardware input devices, which need to be distinguished further regarding the UI framework. The principle still is the same, translate a clock- or counter-clock- wise circular gesture to a positive or negative step value. Note: General reference to wheels as physical or metaphysical devices (as for e.g. these definitions) isn't programming related, and you should elaborate your specific relation in your question instead. 1) At least we should consider to create a tag synonym for wheel and python-wheel. Brain: Run this wheel now, we're going to rule the world! Pinky: Mice on wheels was your best idea ever master! This tag has been burninated! If you notice it re-appearing with some frequency, please propose that it be blacklisted. Do we really need to reinvent the wheel? No, we need to burninate it! color-wheel must be used whenever referring to the colour/color wheel as a UI element. voting to delete the questions with this tag (after they have been closed, and only if the entire Q&A contains nothing of value). 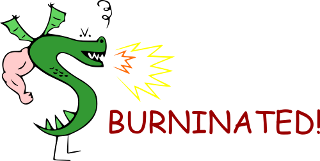 However, keep in mind that at the end of the burnination process all closed questions containing this tag will be deleted automatically. Thus, there's rarely a need to vote to delete these questions. Remember that burnination is a clean-up effort! We don't want to destroy value, so salvaging a post should be your first priority. If a question can be saved, please edit it. Your edit should improve all problems with the question and remove the tag tag, possibly replacing it with another tag, as described above in "Observations/Retag Guidance". Unsalvageable questions should just be flagged/closed. They don't need to be retagged. If the question is not appropriate for this site, then don't worry about removing the wheel tag—just flag/close the question it is attached to. At the end of the burnination process, all questions that still remain with the wheel tag should have been closed. These will be mass-deleted, which will remove the tag from the system automatically, with minimal disruption. I thought the Unity question on wheel rotation in 3D graphics was the most interesting case in which I can't think of a better, more specific tag that isn't confusing. I don't know that questions about wheels in various 3D graphics, games, or modeling packages are common enough that having a tag for them is useful though. My guess is that the tag was defined in that way to discourage its use in favor of more specific ones, such as python-wheel. Personally, if that was the original intention I agree. Some new fancy language or library in the future might have an important component named wheel, so it is better to be specific. If there are so few questions with that tag it seems to be working. Let's not fix what is working. Keep it, I say. Not the answer you're looking for? Browse other questions tagged discussion status-completed burninate-request . “whl” or “wheel” tag for Python package format? Do we really need the [stanford] tag? Do we really need the [syntax] tag? Does [retain] really need to be retained? Do we really need [keyerror]? Can we merge the four [multiple-monitors] tags?